The public voted the ITV show ahead of last year's winner EastEnders, as well as Coronation Street, Doctors and Hollyoaks. Coronation Street has picked up the coveted Best Soap award at the British Soap Awards. The soap wrote on its Twitter page: "A huge thank you to everyone who voted in the British Soap Awards 2013". 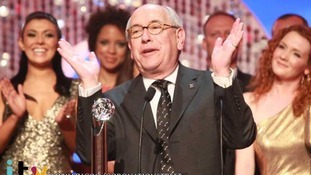 The late Coronation Street actor Bill Tarmey, who played the much-loved character Jack Duckworth, receives a standing ovation at the British Soap Awards. Coronation Street has dominated the British Soap Awards, scooping eight out of 16 awards including the coveted Best Soap. The soap world's "Oscars" are upon us, as Coronation Street, EastEnders, Hollyoaks, Emmerdale and Doctors battle it out for gongs.